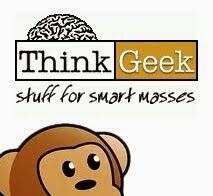 With a string of hotly anticipated movies on the way and more a bit off in the distance as well as mega popular TV shows and cartoons, it will be difficult to NOT see Disney merchandise at every turn. 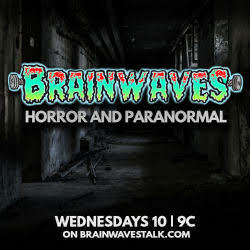 Here's a look at what we can expect! 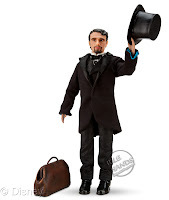 Innovation, creativity and powerful storytelling are the hallmarks of the 2013 toy line from Disney Consumer Products (DCP). Children will be able to recreate the fun, action and adventure of the film during playtime with products such as Scare Off Sulley from Spin Master, a feature plush that utilizes life-like animatronics and sound and light detection technology to change play modes and sense the environment. Combining traditional roleplay with inventive characteristics, the Sulley Monster Mask from Spin Master is powered by children during play, reflecting their movements with its movable mouth and eyebrows. The Scare Off Sulley Feature Plush has 5 modes of play! Using sound and light detection technology, Sulley is able to sense his environment and change play modes to match the present surroundings. Kids can start their Scare Training as Sulley teaches them everything he knows. But once he feels they’re ready, prepare for a Scare Off! Scream loud enough and Sulley will fall backwards in fear! Scare Off Sulley is the most interactive Monsters University toy delivering Scare Training, Speed Scare, Scare ‘O Meter, Room Guard and the Scare Off Challenge! Relive the magic of Monsters University with the Scare Off Sulley! Ages 3+. 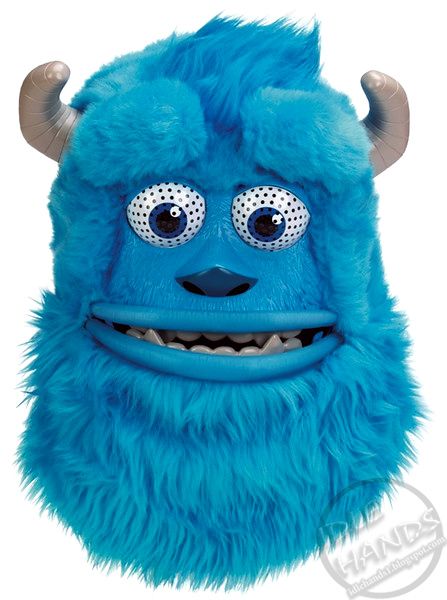 The Monsters University Sulley Monster Mask transforms kids into real monsters! It’s 100% kid powered. As your jaw opens, closes or moves side to side, the Sulley Monster Mask’s eyebrows and lips move too – creating fun, scary and memorable faces! Become Sulley and serve up a good scare to friends and family with the Sulley Monster Mask from Monsters University! Ages 3+. Planes takes off with an international cast of the fastest air racers around, in a comedy packed with action and adventure starring Dusty, a small town dreamer who longs to enter the most epic around-the-world air race despite his fear of heights. With the help and support of a fleet of new and hilarious characters, Dusty wings his way into the biggest challenge of his life. Disney Consumer Products' merchandise program will be incremental to the Cars franchise with a robust lineup featuring of toys with broad retail support. The diverse product assortment draws inspiration from key, iconic film moments and features Dusty and his international racer friends with elements of global aviation. Fans will not be disappointed with the all-new collection of die cast vehicles, play sets and the Planes Pilot Pals™ Dusty Crophopper Remote Control Plane and Planes Sky Track Challenge™ Track Set from Mattel anchoring the Planes toy line. Planes fans can also recreate their favorite moments from the film with the deluxe remote control Dusty Plane from Thinkway, complete with an infrared remote control feature allowing kids to program this Dusty with action combo sequences. 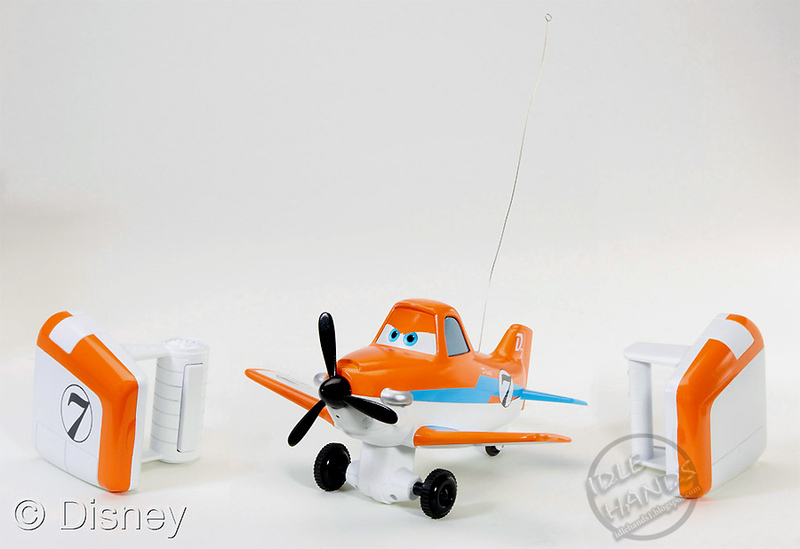 Kids can have high-flying fun recreating the action seen in Disney’s Planes with this RC vehicle that offers role-play remote control, which means the plane moves when they do! Push the button to set its propeller spinning and move it forward, then use the two controllers – one for each wing – to tilt the wings and control its movement through mimicry. Sounds and phrases amp up the action for a thrilling air-venture! Ages 3+. This infrared remote control deluxe RC Dusty Plane features Planes’ speed-loving crop duster with voice and phrases from the film. The propeller turns with engine sounds and flight effects, and even the eyes and mouth move with speech! Kids can control Dusty’s movements with the joysticks on the wireless remote or use the control buttons to maneuver forward, reverse, left or right. Send instant commands or preprogrammed actions to Dusty via the infrared remote control and your commands will be carried out. Program this remote control Dusty with over 1000 action combo sequences! The Disney Princess brand will continue to inspire the imaginations of young girls through the characters and stories featured in Disney's timeless and cherished fairy tale films. In June Mattel will unveil the Disney Princess Ultimate Dream Castle with a bedroom for Rapunzel and a spiraling hair "elevator." It also features fairy tale-themed rooms for Ariel, Aurora, Belle, Cinderella, and Snow White that come to life with the Disney Magic Mirror App (Available on the App StoreSM). When girls scan the castle's defined labels with an iOS device they unlock and trigger activities in each princess' room and around the outside of the castle. Timed with the release of The Little Mermaid Diamond Edition on Blu-ray™ this fall fans can celebrate Disney's animated classic with a new toy collection that utilizes music to bring the products to life. 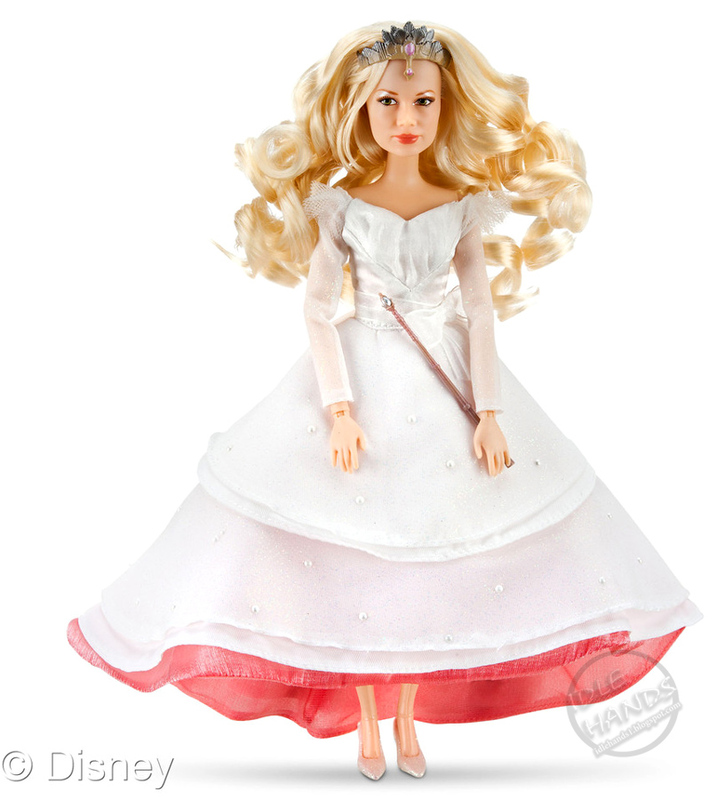 Some of the most unique products in the toy line include role play dresses and accessories from JAKKS Pacific. 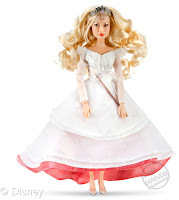 The all-new Ariel Musical Light Up dress with motion activated technology plays "Under the Sea" and the transforming Mermaid to Princess Ariel doll from Mattel sings two different songs from the movie as it transforms. Girls will be delighted to re-create Ariel’s unforgettable transformation from mermaid to princess – over and over again! 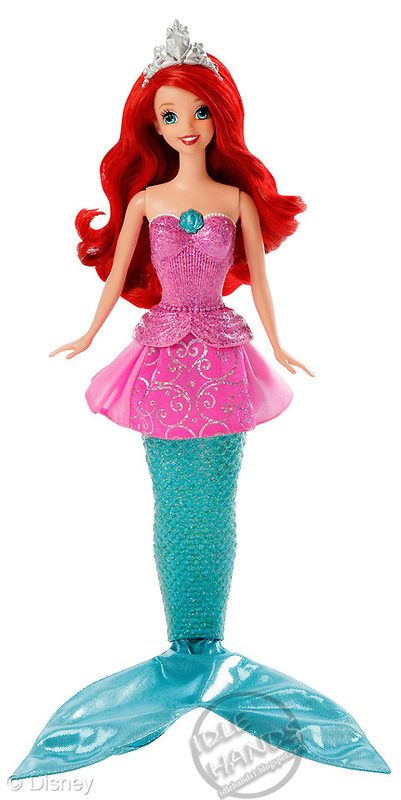 Magically transform Ariel into a princess by pulling her skirt over her tail to reveal a shimmery pink gown. Then, transform her back into a mermaid by pulling down on her sparkly tail. To further add to the fairytale fun, Ariel “sings” two different songs from the movie as she transforms! The Disney Princess Ultimate Dream Castle is more enchanting than ever! 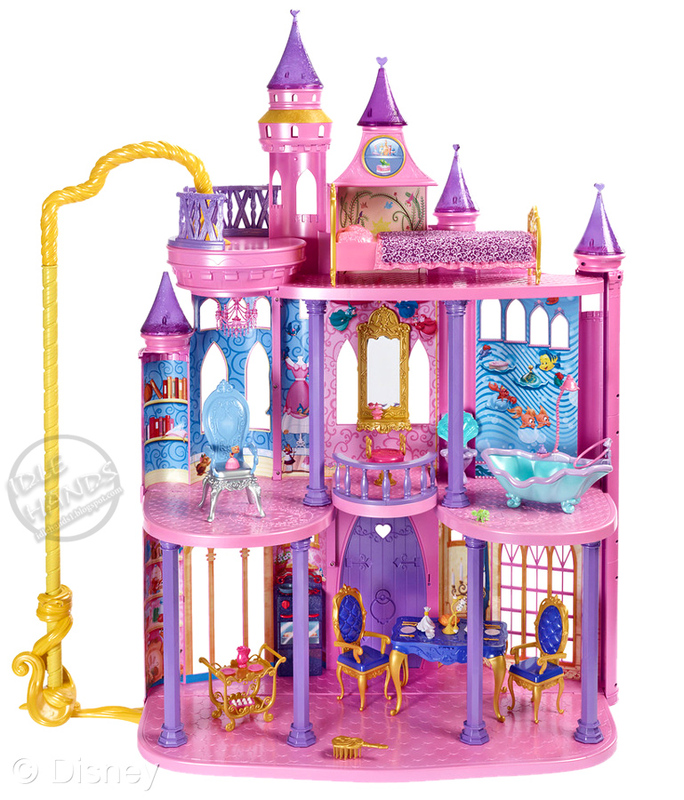 This brand new castle includes fairytale-themed rooms for all girls’ favorite princesses – including a bedroom for Rapunzel and a spiraling hair “elevator” for her and her princess friends to go up and down. The castle also comes to life with the Disney Magic Mirror App (Available on the App Store ℠). When girls scan the castle’s defined labels with an iOS device they unlock and trigger activities in each princess’ room and around the outside of the castle. 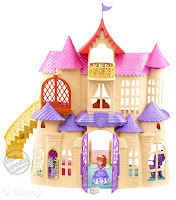 The three-story castle also includes a charming kitchen where Snow White can “bake,” a fancy dining room for Belle to serve her guests, a bathroom for Ariel to lounge in the tub, a sewing room for Cinderella to make pretty dresses and a royal vanity for Sleeping Beauty to get ready. With so many areas of play, more than 30 accessory pieces and the new augmented reality app, it’s the ultimate castle for any Disney Princess to call home. Dolls sold separately. Ages 3+. 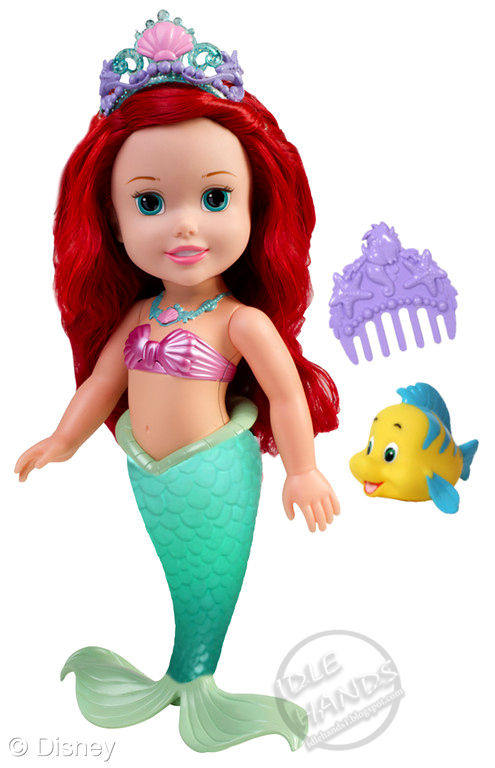 Tollytots is excited to introduce Under the Sea Surprise Ariel. Little girls can play with Princess Ariel like never before! 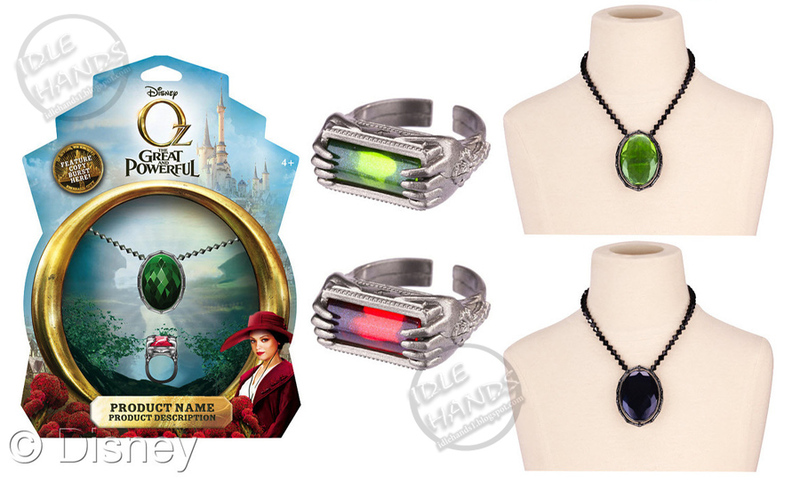 When is placed in water, Ariel’s fin lights up, creating a magical rainbow of color. Ariel also sings and says sounds and phrases from favorite movie moments. 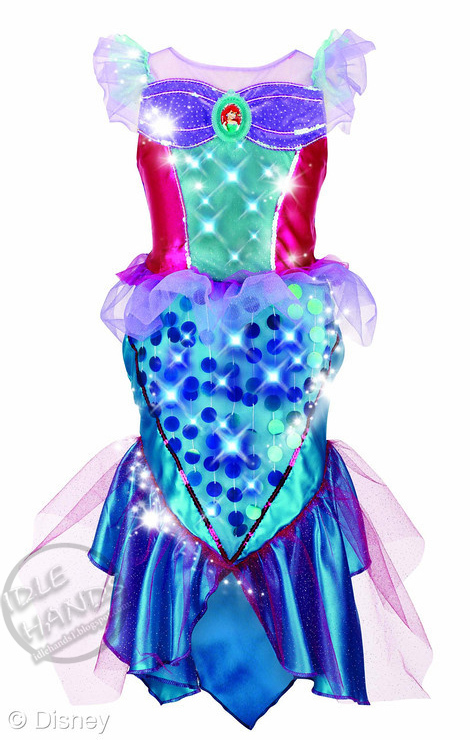 Little girls can shimmer and shine just like Ariel does in their very own Ariel Musical Light Up Dress. Ariel’s dress features magical motion-activated lights and music! 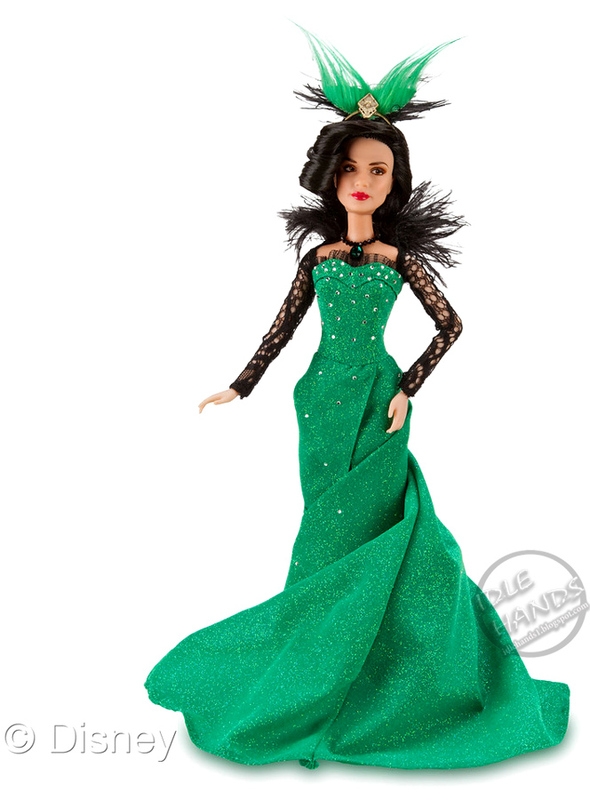 With just a twirl, the dress lights up and plays “Under the Sea”. In spring 2013 girls can join Tinker Bell and friends on a tropical vacation in Palm Tree Cove, with an all-new 4.5" doll line and play sets from JAKKS Pacific. Featuring pool and beach inspired fashions and accessories, Disney Fairies fans can dress and re-dress Tinker Bell and Silver Mist with the Tropical Vacation Fashion dolls. Additionally, girls can explore the sand dunes of Palm Tree Cove with Rosetta's Beach Buggy, serve delectable treats at Tink's Tikki Treats Stand and twirl down the water slide into Tink's Pixie Paradise Pool. Each vehicle and play set comes with a 4.5" doll. 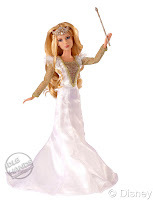 In fall 2013 young girls can play with Tink and her friends as deluxe 9" fashion dolls featuring additional points of movement, an all-new doll design and fashion forward outfits. Visit Tink’s Tikki Treat Stand, the perfect playset for the 4.5” Fairies Tropical collection dolls which comes complete with a working toucan blender to whip up delicious tropical drinks for Tink’s friends to enjoy! Based on a popular episode of Mickey Mouse Clubhouse, this series of shorts finds Minnie and her good friend Daisy Duck running Minnie's Bow-Tique, a specialty shop which stocks only bows and bowties. Highlighting the themes of friendship, fashion and travel, DCP will introduce a robust Minnie Mouse toy line including Cheerin' Minnie, which sings and dances to the hit song "Hey Mickey," and Minnie's Pet Salon from Fisher-Price. In 2013 DCP will introduce a fresh line of toys inspired by the hit series, Jake and the Never Land Pirates, which follows a crew of kid pirates – led by Jake and his pals Izzy and Cubby – and follows their Never Land adventures as they work to outwit two infamous characters, the one and only Captain Hook and Mr. Smee, from Disney's classic Peter Pan. Anchoring the line is an assortment of play sets from LEGO. Stop Captain Hook from sneaking onboard Jake’s Pirate Ship Bucky and taking the treasure! Spot him from the turning lookout tower, fire the cannon and hoist the sail to evade that pesky pirate. Escape to the island and bury the treasure where no one will find it! Build a swashbuckling pirate ship adventure from Disney’s® Jake and the Never Land Pirates™ animated series. 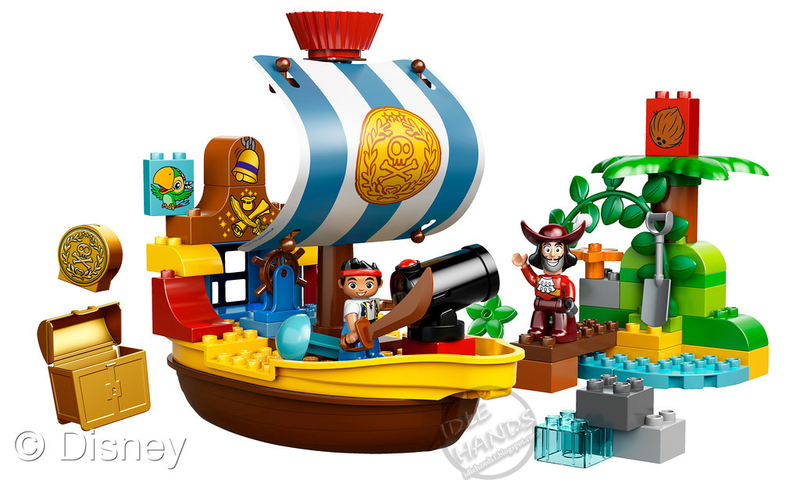 Includes LEGO® DUPLO® Jake and Captain Hook figures. Ages 2+. Comes with 56 pieces. In spring 2013 DCP will launch an extensive merchandise program for Sofia the First, the brand new show from Disney Junior featuring the young "princess in training," Sofia. With each show Sofia teaches girls empowering lessons about kindness, forgiveness, generosity and self respect on her journey to learning how to be a princess. JAKKS Pacific will unveil an assortment of role play, dress up and plush toys. Girls can wear their own magical amulet, just like Sofia's in the show, with an interactive feature that teaches special lessons to princesses-in-training with fun, interactive cards. Each amulet teaches 25 different lessons. Little girls will also love dressing up in Sofia's dazzling tiara and beautiful gown that transforms into a tutu. Additional role play items will be included in the line as well as plush products of Sofia's furry friends like Clover the Rabbit and a Sofia doll. 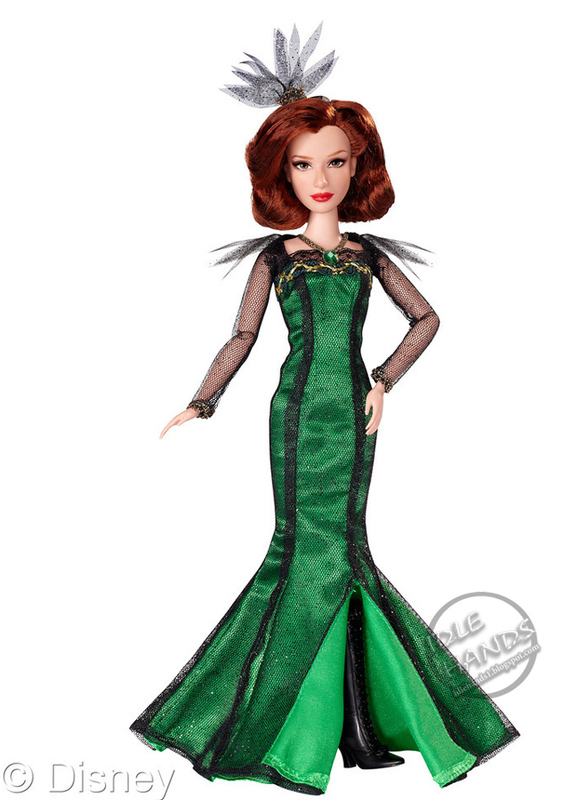 The merchandise program will also include Sofia the First's Magical Talking Castle and Sofia and her animal friends as talking feature dolls from Mattel. 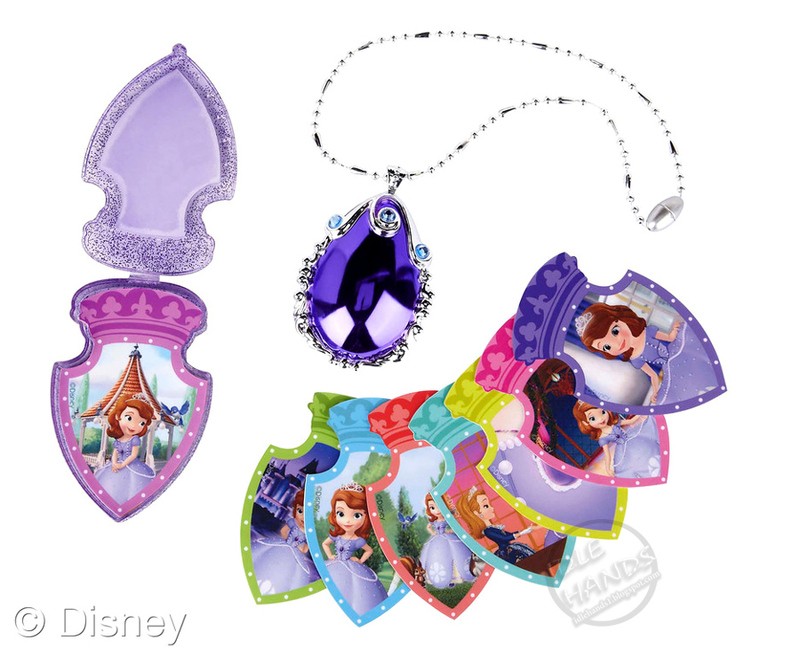 Girls can wear Sofia’s beautiful, enchanted Talking Magical Amulet and learn to be a princess just like Sofia! The interactive Talking Magical Amulet features the voice of Sofia and brings her world to life by teaching little girls valuable princess lessons about kindness, sharing, manners and more. The Talking Magical Amulet comes with 12 collectible cards, each featuring a different lesson from Sofia, as well as a carrying case. 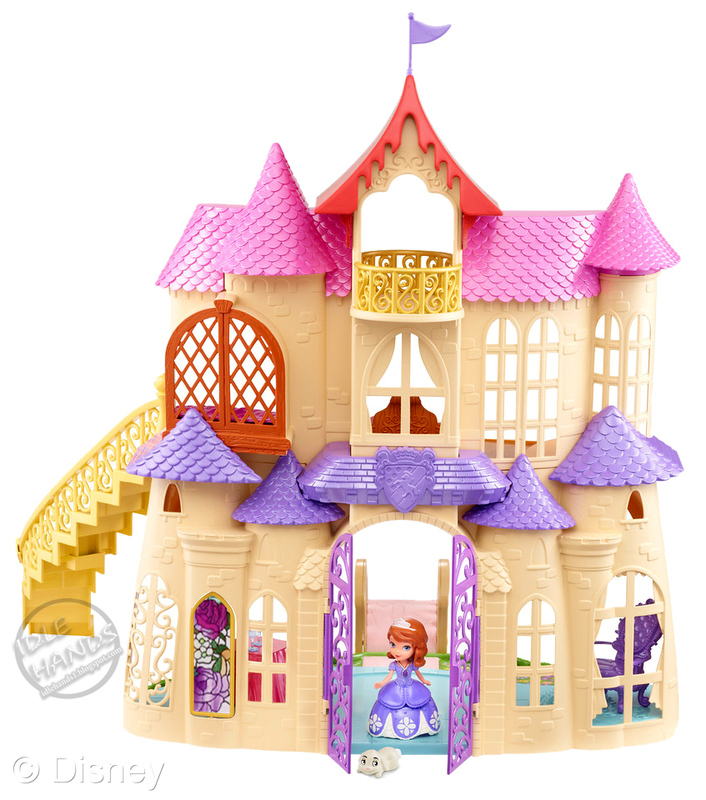 With so many play areas and hidden surprises, the Magical Talking Castle is the perfect place for the charming Sofia the First to call home. When girls place Sofia or Clover the Rabbit on the castle’s special base, they can “magically” hear phrases said in each character’s voice. But that’s just the beginning. 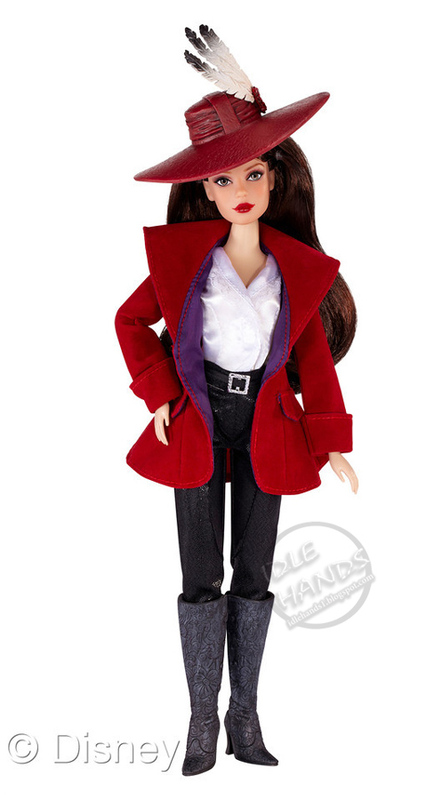 Bring in other 3” dolls and figures from across the line to bring Sofia’s world to like and unlock even more character phrases. Girls can extend an outdoor play level and footbridge to Enchancia and explore the castle grounds, or take Sofia and Clover on a picnic. Inside the castle, Sofia can glide down the staircase, enjoy royal dancing and dining in the ballroom, or find Clover hiding in the window seat. With another day of princess training about to end, all that’s left for Sofia to do is have sweet dreams in her lavish royal bedroom. 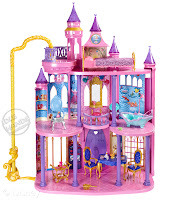 Castle includes furniture, Sofia doll and Clover figure. Other dolls and figures sold separately. The Lone Ranger, from producer Jerry Bruckheimer and director Gore Verbinski, the filmmaking team behind the blockbuster Pirates of the Caribbean franchise, is a thrilling adventure infused with action and humor, in which the famed masked hero is brought to life through new eyes in a tale of epic surprises and humorous friction with Native American Tonto. Disney Consumer Products has worked with LEGO to release a collection of LEGO® construction toys inspired by The Lone Ranger. Scheduled to launch this April, six new building sets will bring the action and stories of the film to life in LEGO form, and will include iconic characters such as John Reid (aka The Lone Ranger), Tonto and the horse, Silver. Also, CLICK HERE to see our NECA Lone Ranger announcement! Disney's fantastical adventure Oz The Great and Powerful, directed by Sam Raimi, imagines the origins of L. Frank Baum's beloved wizard character in an exciting new adventure that combines classic characters and new personalities in a unique film experience. 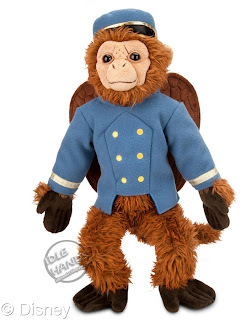 A perfect likeness to Finley the Flying Monkey from Oz The Great and Powerful, this huggable Finley is 19” tall and ready for an adventure. 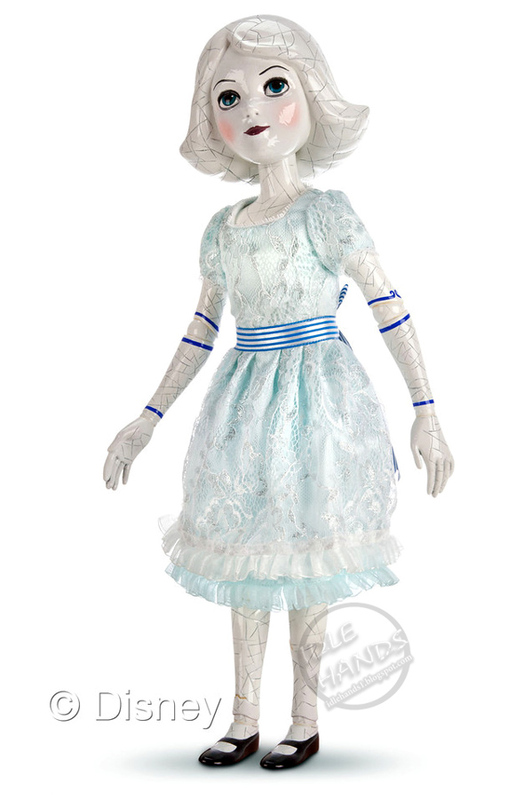 Limited Edition China Girl Doll : SRP: $179.50 - Oscar Diggs' fragile orphan friend is reproduced in exquisite detail with this limited edition China Girl Doll. 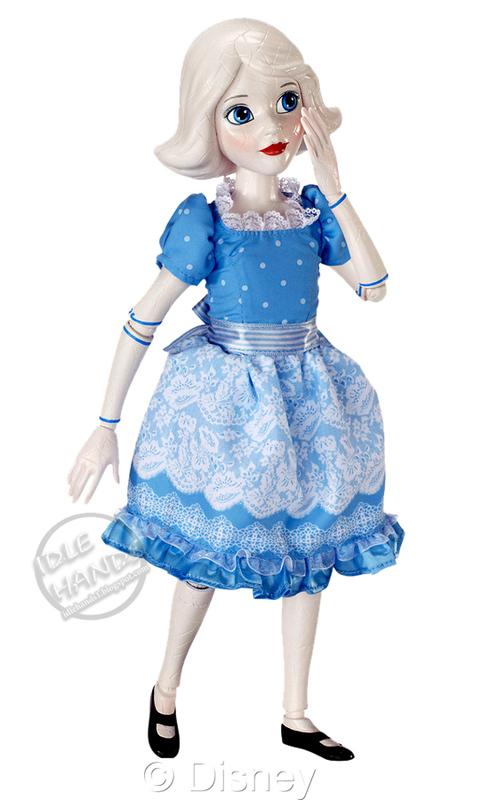 The accurate replica of the character from Oz The Great and Powerful features moving joints and hand-sewn dress. Limited to an edition of 500. 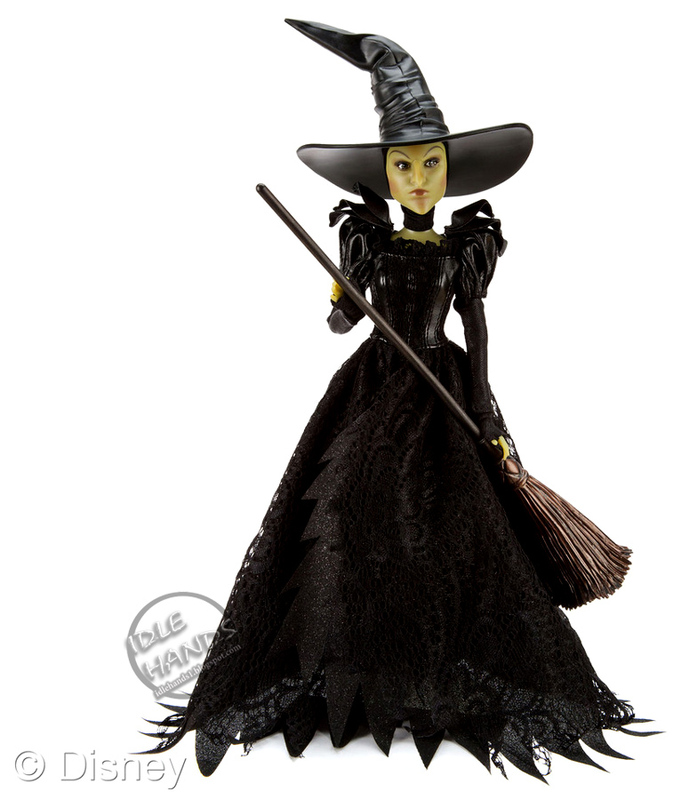 This month JAKKS Pacific will release an assortment of role play items and dolls. 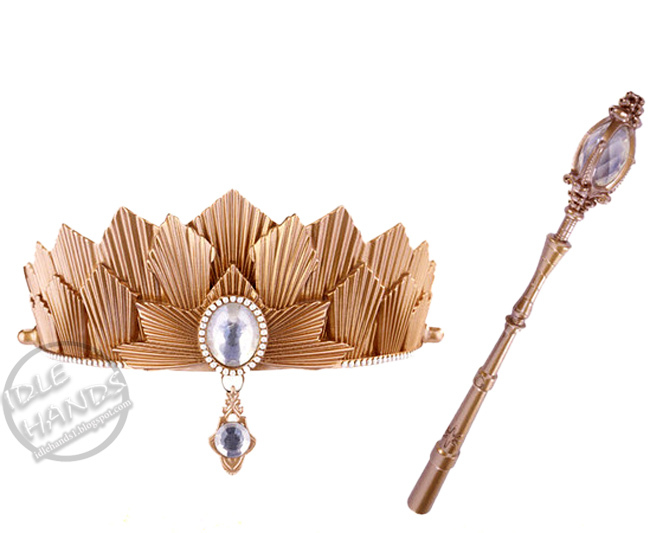 The magic and whimsy of the powerful witches of the film will be brought to playtime with the Spellbinding Necklace and Glinda's Signature Tiara and Light Up Wand that look just like the items from the film. The bejeweled necklace and ring set includes Evanora's necklace with flip feature and Theodora's ring with spinning jewel. The replica tiara features a handing jewel, while the wand lights up with a touch of a button. 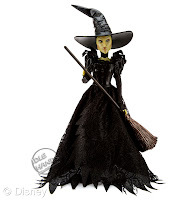 From Tollytots come the Oz Fashion Dolls, beautifully crafted dolls featuring Oz, Evanora, Theordora, Glinda and China Girl (MSRP: $19.99- February 2013) that bring the wonder and fantasy of the magical Land of Oz to Disney fans. CLICK HERE to read about Disney Infinity, the new Skylanders type video game!